So now that we’ve seen the introduction of Abraham Ford with last night’s The Walking Dead episode, “Inmates,” let’s see what actor Michael Cudlitz has to say about his character. “He’s not to be f—ed with. 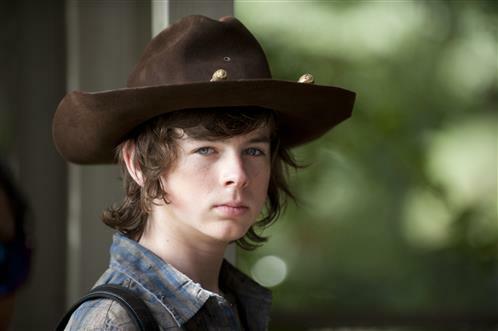 He will kill you,” Cudlitz said. 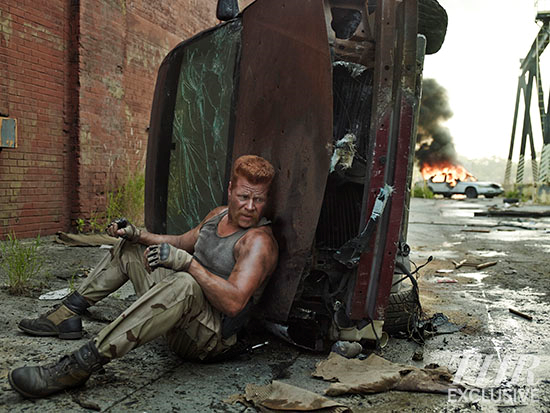 Cudlitz talked at length about his character in TV Guide interview that’s worth checking out. 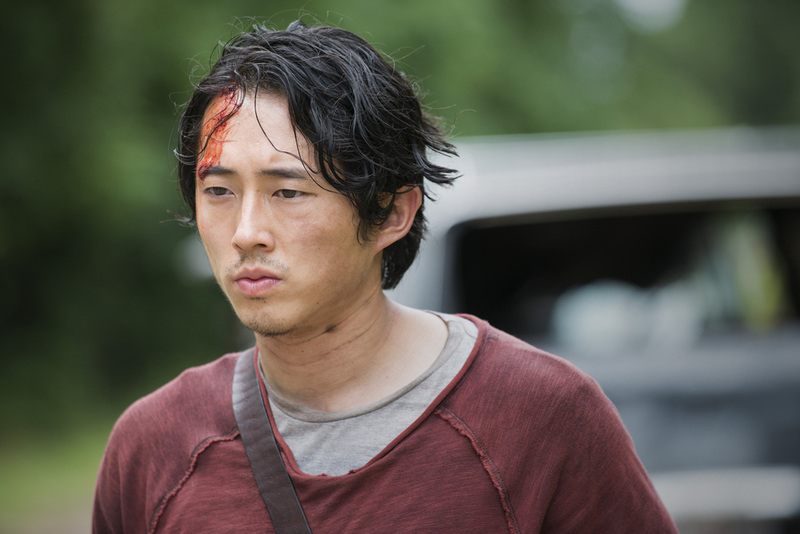 Warning before you click the link, the article contains some comic spoilers and potential spoilers for upcoming show episodes. The worst ones are near the end and marked so you can avoid them. 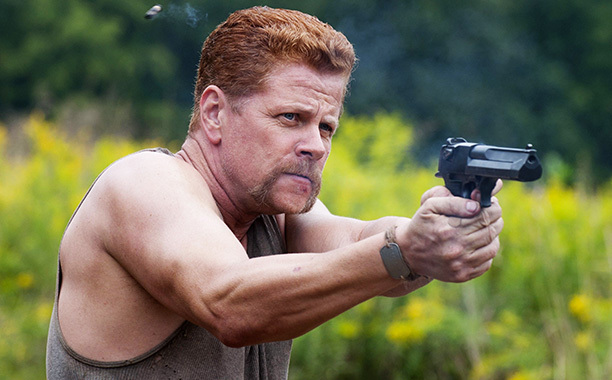 Cudlitz, best known for TNT’s Southland, said he studied the comics version of Abraham, whose backstory is very similar to the Abraham on the show. Abraham is no-nonsense Army ranger that’s not especially concerned about playing well with others, Cudlitz said. “That’s not really a concern, how he fits into anyone else’s group. He has his mission, and his mission is the only focus and the only thing that is important and the only thing that has any meaning right now,” Cudlitz said. 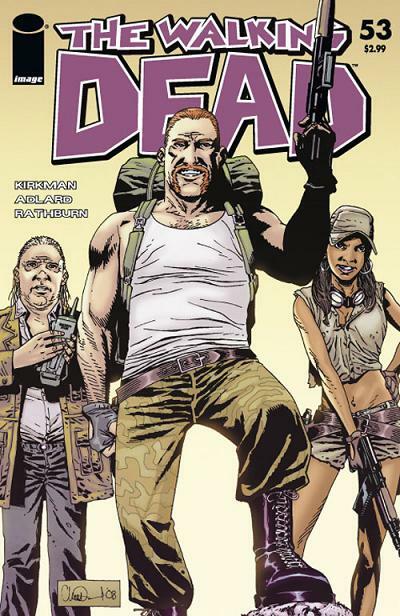 The first appearance of Abraham, Rosita, and Eugene in the show recreated this comic cover. Cudlitz also said he loves Abraham’s “insane, orange hair, slap-back, handlebar mustache” look and hinted that the addition of Abraham and his companions Rosita and Eugene will provide some lighter moments in future episodes. “They wonderfully get caught up in these moments that they’re actually in, so there’s a lightness. There’s some funny stuff coming up. I hesitate to use the word “funny,” but it is. There are some quirky relationships that are going on that the audience will find a lot of humor in watching. They will be able to identify with it. I’m a fan of the show and I’ve watched all the episodes and I’m not laughing that much when I watch them, so to know these situations that are coming up and know that they’re going to add this lightness in places, I think it’s going to be exciting for the audience,” he said.